A real trendsetter in the Morden world! A perfect marriage of function and form where contemporary stylings meet practical design, a great black ink pen for everyday use. 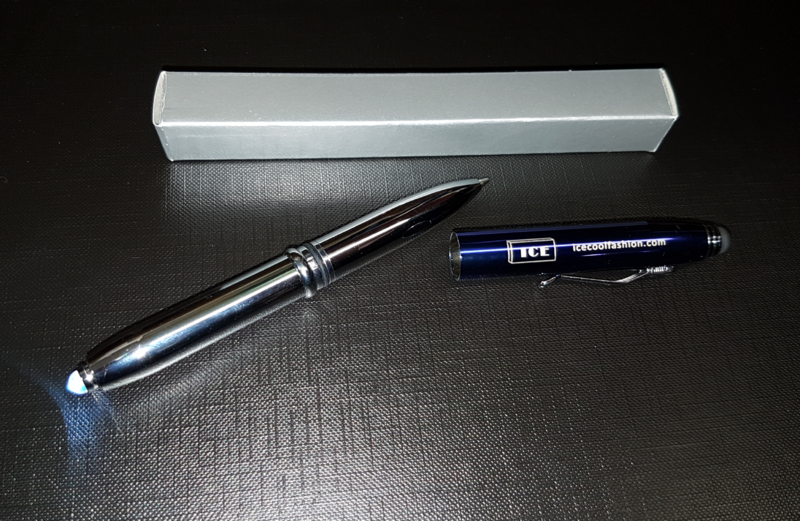 The Stylish pen has a built in torch at one end which allows you to see important details of the paperwork at night, and also a Stylus on the lid which works perfectly on any smart phone allowing you to use the pen even without the ink! Treat yourself to the ICE pen!